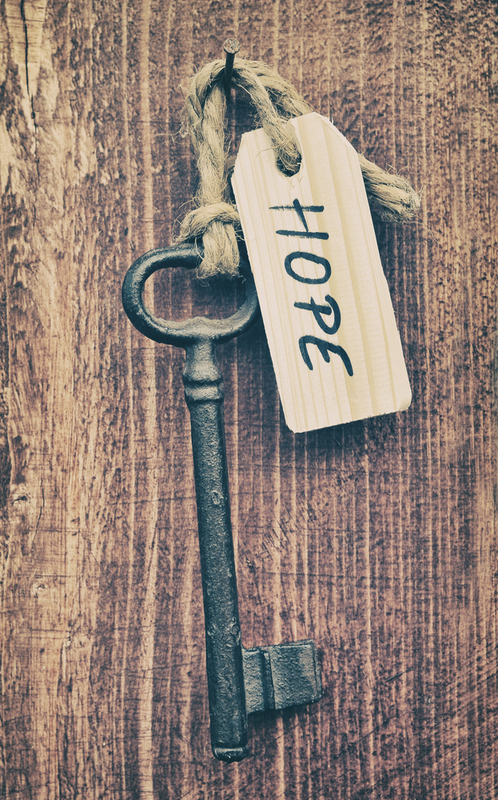 The Key to Hope Is Wonder! I believe that Wonder is one of the most important fundamental pathways to Hope. Wonder (noun) is defined as : a feeling of surprise mingled with admiration, caused by something beautiful, unexpected, unfamiliar, or inexplicable. When we actively Wonder at something we marvel at it and often feel admiration and amazement. I think one of the secrets to regaining and maintaining our Hope is by working on our ability to Wonder! Of course, there are the great wonders of the world, old and new, but there are so many simple wonders that surround us on a daily basis. We just need to open our eyes and ears and let them in! I was traveling for business, as I often do and I was sitting in my rental car eating a sandwich. When suddenly a beautiful black bird flew right down next to my car and started singing. There was the smallest patch of bushes and cactus and pipes and curb. It would have been understandable if this lovely bird was sad that her little patch of nature was somewhat less than perfect. The traffic was loud but I watched her time her song and she was able to get her message across to whoever was out there listening. This glorious little bird kept singing -found her cozy, covered spot underneath the plantings and made it work! Business as usual with no less enthusiasm! I was so honored to experience her process and because of her effort- I experienced the magic of Wonder. The unexpected beauty, the feeling of surprise and sheer admiration for this lovely creature -so perfect in her imperfect surroundings…and her beautiful song all filled me with such gratitude and Wonder and Hope! Wonder is everywhere! It is all around us! Pause, Be Calm, Be Still…remind yourself to Listen. Make a point today to pay attention to all your Miracles and messages and signs. Whether you live in the country or the energetic city, or somewhere in between…watch for Nature, see the beauty in people interacting and ignite and rekindle your Hope. Sometimes we have to start over. I think we can start over every day. Start…change your routine…be determined to look for miracles and messages and signs. Take a walk, pay attention to what you see and the gifts you are being given. Your Hope is the special bonus gift inside your Wonder! Be positively Amazed today! Be surprised, marvel at a sunrise…see how remarkable it is that the buds are coming out on the trees! Kiss one! Be thankful! Talk to your plants! Know that everything is alive and filled with love and generosity towards you! Spring is here for many and on the way for the rest of us! This is the perfect time to pay attention to the rebirth of our Earth. Know that you are reborn with every single Breath! That you are amazing, that you are miraculous and that you can be Wonder-filled and Hope-filled again! So much love and light to all of you!